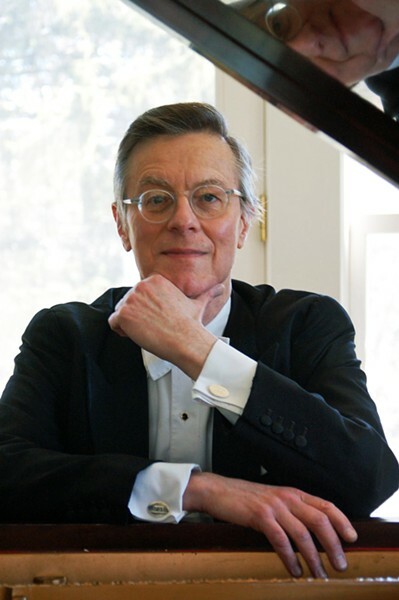 Peter Serkin's performance of Mozart's Piano Concerto No. 19 at Kodak Hall, Saturday evening, confirmed what we all know about this great artist. His brilliant and intimate attention to the details of the music is only matched by his ability to communicate to the orchestra their role in this collaboration. With the full Eastman Philharmonia on stage, the Overture to "Die Meistersinger" offered a rousing beginning with thundering brass as the first violins excelled in their rapid passages. Wagner is most often heavy and full throated, and the performance offered that style with gusto. The orchestra's student exuberance sometimes caused a slight blemish in their tone, but this ensemble pulled out all the stops, and stood out, over all. The "polished gem" of the evening was Serkin's Mozart Concerto in A Major, K.439. Having heard Peter Serkin in many performances throughout the years, it is always with great pleasure to listen to Serkin play. The orchestra was paired down to the "chamber" size that is required for this music, unlike the full orchestra for the Wagner. Serkin is not a dazzling performer -- he deals with the music's intimacy, using Mozart like a vehicle by which he can collaborate with the students' music. This is the entire reason for the Eastman School of Music's commitment to bring in great artists to work with their students. Special recognition goes to the flute and oboe players in the Mozart's second movement "Allegretto," and to Serkin's ever-lilting trills and ornamentations. These led to a fiery cadenza for solo piano just prior to the work's conclusion. The full orchestra returned for the evening's final work: Brahms Symphony No. 3 in F minor. Of Brahms' four symphonies, this is the most difficult, with its cross-agitating rhythms in the final movement, and its slow sustained middle which requires especially fine focus from the performers. It is not a short work, but the rewards are there if one follows the musical flow. I liked the full Brahms sound, although the students' exuberance tended to slightly burnish the string sound in a couple of places. This is far better than a timid approach. Conductor Neil Varon allows his group to play from their youthful strengths, which is a wonderful thing. Varon also demonstrated his wonderful ability to lead the winds through their delicate moments in the second movement. And special kudos go to the French horn playerin the third movement for his smooth, curving, high- arched solo. The orchestra brought a spirited enthusiasm to the fourth movement. It was difficult to realize that this was a young student orchestra, but on the cusp of professionalism. Varon conducted to the strengths of this ensemble, and joined in the orchestra's enthusiasm on the podium.